This Thursday at 4pm at the Chapel Arts Center at Saint Anselm College. I will be discussing and demonstrating , the techniques of traditional landscape. I will walk through the process of transitioning from the Dead Color Under-painting to the final Glazing and Scumbling. 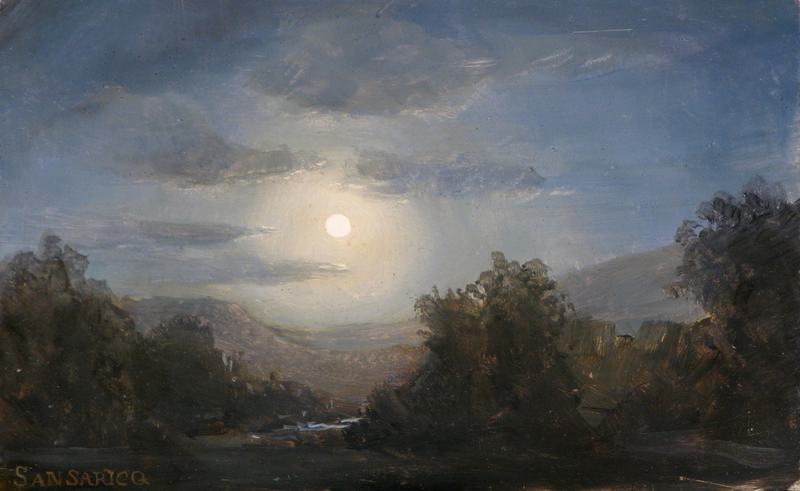 In this demo specifically I will be approaching “How to paint a Nocturnal Landscape- a Moon Scene”. It should be a wonderful event!